As a community, HCA is committed to pursuing God's truth in a digital culture. HCA is equiping our learning community with the technological resources to further engage our students, enhance curriculum and enable all learners to use technology well and wisely. 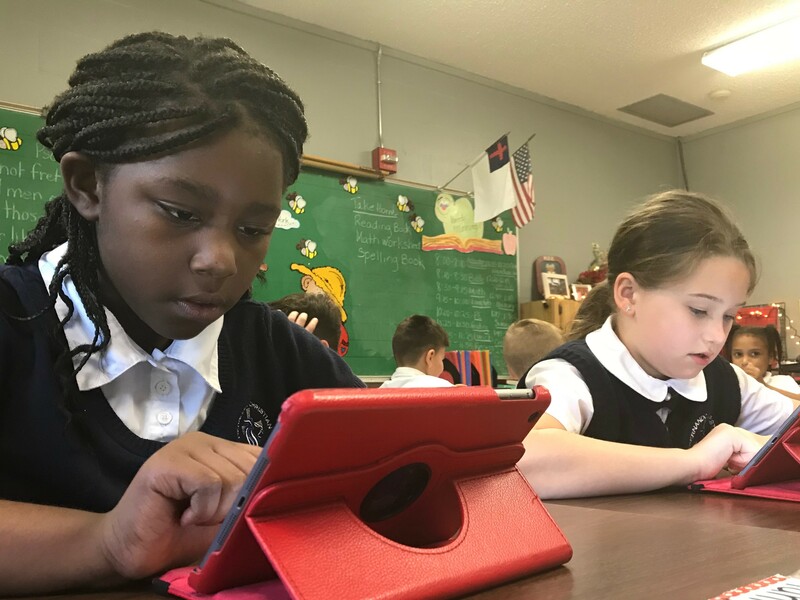 HCA strives to integrate technology into all areas of the curriculum and to balance that technology with what is appropriate for students at each grade level. Our college-preparatory curriculum includes more than academic content. It prepares our students personally and spiritually for life after graduation. Students in Elementary Classes are introduced to iPads and how to use a computer. Our Middle School students begin keyboarding classes and turn in reports through Google Docs. Our Upper School students, use the computer lab for SAT preparatory courses and more. While technology is an exciting part of the HCA community, it is no more important than the human connection it encourages and enhances between teachers, parents, students and families.